In this blog, I have stated that Taichung's efforts to become an eco-city are an essential component of its future identity. The title of Taiwan's greenest city is a valuable asset to attract residents, investment, and the clean energy industries that Taiwan's central government will aggressively promote in the next decade. While Taichung contemplates its steps towards green development, Taiwan's other cities are not idly standing by. Kaohsiung, Taiwan's second largest city, has emerged as both a domestic and international example of eco-city development. Due to its strategic location during the Japanese occupation of Taiwan, Kaohsiung was targeted as a center of industry in the mid-20th century. In the post-WWII era, Kaohsiung was the industrial engine fueling the "Taiwan Miracle." By the 1990s, Kaohsiung had over 6000 factories and rapid industrialization/urbanization had exacted a heavy toll on its citizenry. Kaohsiung's cancer rates soared, its rivers were pronounced "dead,"and landfills blighted the urban landscape. Since reaching the peak of its polluted image in the late 20th century, Kaohsiung has undergone a remarkable transformation in a short period of time. In this post, I want to introduce Kaohsiung's efforts on several fronts that make it an unlikely eco-city leader of Taiwan. Kaohsiung's transformation is reflected in its ascent up the Mercer quality of living rankings. In a recent Mercer survey, Kaohsiung broke into the top 100 cities worldwide for quality of living and achieved 13th place in Asia. Kaohsiung also earned 13th place in Asia under Mercer's eco-city category, beating out Taipei for #1 in Taiwan. Commonwealth Magazine's 2009 profile of Kaohsiung, From Soot and Smoke to the Sweet Life, pronounced the city first in Taiwan in environmental protection. Kaohsiung's reliance on heavy industry led the city to become home to some of Taiwan's worst air quality. In addition to grey skies resembling those of Beijing, Kaohsiung emerged as not only the highest per capita CO2 emitter out of Taiwan's large cities, but also one of the world's worst. As of 2005, Kaohsiung emitted over 4x as much CO2 per person than Taipei, and over twice the Taiwan national average. Kaohsiung's air quality has shown marked improvement in recent years. This past summer, Kaohsiung was the first Taiwanese city to initiate a trial run of the EPA's air pollution quota control system. Kaohsiung City's latest Pollution Standard Index (PSI) hit a record low, more than three times less than its figure when measurements first began in 1994. Reducing Kaohsiung's high-level of CO2 emissions has proven a more complex task than cleaning up its skies. To curb its high levels of per capita CO2 emissions, Kaohsiung has first laid out a series of ambitious reduction goals. The city government aims to reduce CO2 emissions to 30% below 2005 levels by 2020, 50% by 2030, and 80% by 2050. In order to achieve the near term CO2 reduction goal by 2020, the government is leaning heavily on clean technology deployment to cover 50% of its target. Other major cuts will come through the residential and commercial sector (15%), industry (12%), and there is still a 10% shortfall yet to be accounted for. Heavy industry comprises 68% of Kaohsiung's CO2 emissions, dwarfing emissions from the next closest source (commercial/residential sector at 23%). Beginning in 2009, Kaohsiung has levied a carbon tax on heavy industry. All corporations emitting over 10,000 tons of CO2 per annum are subject to the tax, which is expected to generate NT $2.8 billion each year for the city coffers. Responding to the government's policies and their own economic incentives, Kaohsiung's industrial heavyweights have been actively cutting their emissions. China Steel Corporation (CSC), Taiwan's largest steel producer, is alone responsible for over 40% of Kaohsiung City's CO2 emissions. CSC has slashed CO2 emissions by 20% by upgrading its technology and efficiency. Through the use of steam-electric cogeneration, CSC's Kaohsiung plant provides 2/3 of the electricity needed to run its operations. CSC has also been able to sell surplus steam to its industrial neighbors. Steam sales earned CSC $NT 600 million in 2006 while reducing the fuel needs for adjacent petroleum and chemical plants. Due to the municipality's high rate of sunshine, Kaohsiung is ripe for the development of solar energy. In February 2010, Asia's largest high-concentration photovoltaic (HCPV) solar power plant began operation in Lujhu, Greater Kaohsiung. Built with a US $8.34 million investment from the Institute of Nuclear Energy Research, the 1 MW facility has the potential to be scaled up to 10 MW. In March 2010, Suntech announced that it will build a 4.7 MW solar plant in Young'an, Greater Kaohsiung. 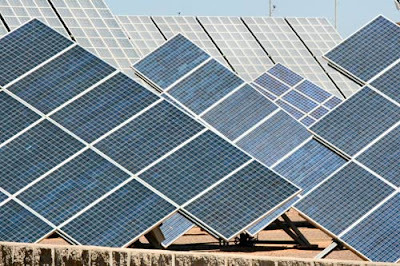 The solar power facility will be Taiwan's largest and double Taiwan's installed solar capacity to nearly 10 MW. Kaohsiung also leads Taiwan in the installation of solar water heaters; combined central and local government subsidies on solar water heaters add up to NT $7500. In a symbolic form of energy generation, Kaohsiung has harnessed methane gas from a former landfill underneath the Metropolitan Park to supply electricity to 4,600 households. Beginning operation in 2000, the Hsichingpu methane plant reduces 5,000 tons of greenhouse gas emissions each year and is expected to generate electricity for a 20 year life span. In addition to promoting higher amounts of clean energy installed capacity, Kaohsiung also aims to become a manufacturer, exporter, and investment hub for clean energy and technology. Kaohsiung government agencies will invest over NT $37 billion in a "Green Energy Industry Plan," hoping to spur the city's green energy industrial value to NT$1.158 trillion by 2015. The Kaohsiung Science Park has been tagged as a "green energy cluster" and designated for promoting LED, biotech, telecom, and solar enterprises. Kaohsiung also plans to build a solar energy industry zone as part of a major land reclamation project along the harbor. The strategic location adjacent to Kaohsiung's port will foster the city's burgeoning solar manufacturing industry. One of the main pillars of Kaohsiung's green development strategy has been a reformation of its transportation system. In 2006, the city achieved a paltry 4.3% share for public transportation usage. Motorbikes are ubiquitous; in a country where there is nearly one motorbike for every two people, Kaohsiung has 766 motorbikes for every 1000 city residents. In order to combat its low rate of public transportation use, the government has employed a "give first, take later" strategy. The city has engaged in a comprehensive effort to deliver new pubic transportation options while upgrading and enhancing the efficiency of existing services. Once a culture of public transportation ridership is firmly established, the government will begin to instill policies to discourage private transportation. The aspect of Kaohsiung's transportation upgrade that has drawn the most attention has been its MRT system. Opening in March 2008, the Kaohsiung MRT is Taiwan's second urban subway system. The KMRT is currently comprised of 2 lines running along a horizontal-vertical axis, encompassing 36 stations and 42.7 km of track. 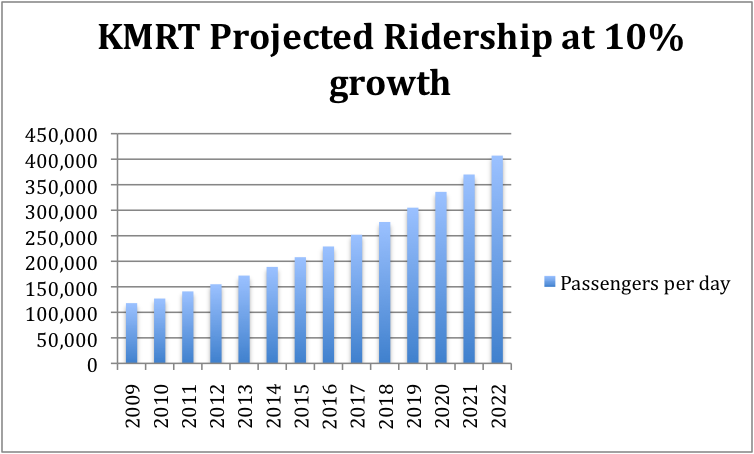 The results of the KMRT have been a mixed bag: the ultra-modern system is steadily losing money as ridership lags far behind expectations. 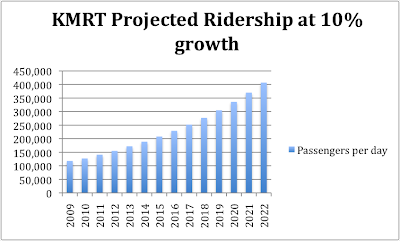 Officials had predicted that ridership would reach nearly 560,000 passengers per day by the end of 2010, a far cry from this year's actual figure of 127,000. The KMRT needs approximately 380,000 riders per day to become profitable. Despite poor initial ridership figures, the city government is doubling down on the MRT and pressing ahead with plans to expand light rail connections to the existing system. Drawing far less attention than the MRT system have been significant efforts to improve the city bus system. Kaohsiung has expanded access by adding hundreds of busses to the road, doubling MRT shuttle bus connectivity, and acquiring 100 low-floor busses for wheelchair passengers. Kaohsiung has also promoted alternative fuels as a means to improve fuel efficiency in the city's municipal fleet. Kaohsiung is the second city (after Kyoto, Japan) to require its entire public bus fleet to be use a biofuel-gasoline blend. In 2006, the Kaohsiung City government unveiled a test project to convert all of its garbage trucks to run on biodiesel. Kaohsiung has also released six hydrogen busses, a number that the city looks to increase in the near future. To get citizens out of their cars and off their motorbikes, Kaohsiung has instituted Taiwan's first urban bike rental program. The government's City Public Bike (C-Bike) program includes 4,500 bikes at 50 rental locations. Bike rentals through the program aren't free, but the government offers subsidies to encourage citizens to utilize the city's 150+ km of bike paths (first in Taiwan). Kaohsiung's efforts have led CNN to name it the third most bike friendly city in Asia. For the majority of citizens who will continue to rely on private transportation, the city has offered generous incentives for cleaner vehicles. The Kaohsiung government is offering a NT $25,000 subsidy to buy electric motorbikes and a NT $10,000 subsidy for the purchase of LPG vehicles. The financial incentives are aimed at removing an estimated 300,000 old motorbikes from the road and are in addition to existing central government subsidies. In October 2010, the city government released the Greater Kaohsiung Transport Policy White Paper. The document highlights several measures to expand the future scope and efficacy of the city's public transportation system. The city will deploy more hydrogen busses, solar powered bus stops and EV charging stations. Accompanying future MRT expansion, more effort will be made to integrate the city's MRT, LRT, BRT and shuttle bus systems. Kaohsiung's efforts to overhaul its public transportation system are already demonstrating results. According to the Kaohsiung City Transportation Bureau, the city has improved its public transportation share to 10.8% in 2010, and its monthly record high (12.5%) is approaching the government's' short-term goal of 15% usage. It is clear that the government's efforts to improve Kaohsiung's transportation system are gaining traction: in a July 2010 survey, 82% of Kaohsiung residents reported satisfaction with the city's overall transportation infrastructure. Not to be outdone by Taiwan's first zero-carbon building in Tainan and the space-age Taiwan Tower planned in Taichung, Kaohsiung can also point to its own signature green building: the World Games Stadium. The 55,000 seat stadium opened in 2009. Over 8,800 solar panels on the roof can supply up to 75% of the building's power needs during operation. When the stadium is empty, the solar power generated is fed into the grid and is sufficient to power 80% of the surrounding neighborhood. The stadium was designed by Japanese architect Toyo Ito (who is also commissioned with the design of the Taichung Metropolitan Opera House). Kaohsiung also has other groundbreaking green building projects in the works. Sun and Associates have proposed an enormous wave-shaped multi-use cruise ship terminal for Kaohsiung's port. The roof of the structure will be lined entirely with solar panels and is adjacent to a large park. Further developing futuristic plans for Kaohsiung's port is Emergent Architect's proposal for the Kaohsiung Pop Music Center. The music center would be comprised of two buildings, one above and one below ground. The music center would contain a 12,000 seat amphitheater and its outer walls, or "skin," would be lined with thin-film solar technology. Far from the sexiest topic in city planning, sewage treatment is nonetheless an essential component of a modern city. In many ways, the development and modernization of Kaohsiung's sewage system has paralleled the city's environmental rise. Kaohsiung's sewage systems began their planning stages in the 1970s. From 1979 to 2001, the city government invested upwards of NT $12 billion in sewage treatment infrastructure. Sewage connectivity has improved rapidly: in 1995, only 1.1% of Kaohsiung households were connected to the municipal sewage system. As of November 2010, this number has increased to over 61% and is projected to reach 90% by 2016. Water resources are another crucial but often overlooked aspect of a city. The southern regions of Taiwan receive 90% of their annual rainfall during the rainy season and only 10% over the rest of the year. Climate change is only likely to worsen this ratio. In recent years, Kaohsiung has acted to improve the quality of the city's tap water and taken steps to diversify its water sources. Kaohsiung has a water demand of 1.55 million tons per day with no central reservoir to rely upon. As a result, the city has turned to water recycling as a means to improve its water security. Kaohsiung's first industrial wastewater reclamation plant will be opened in the Nanzih Export Processing Zone. The plant will cost NT $100 million and will serve the water hungry high-tech companies in the Nanzih District. The plant will start operation in January 2011, producing 1,800 tons of water per day. The plant is scheduled to be expanded to a capacity of 100,000 tons of water per day, an upgrade that will generate up to NT $10 billion in profits. Water recycling is also of central importance to Kaohsiung's industrial sector. 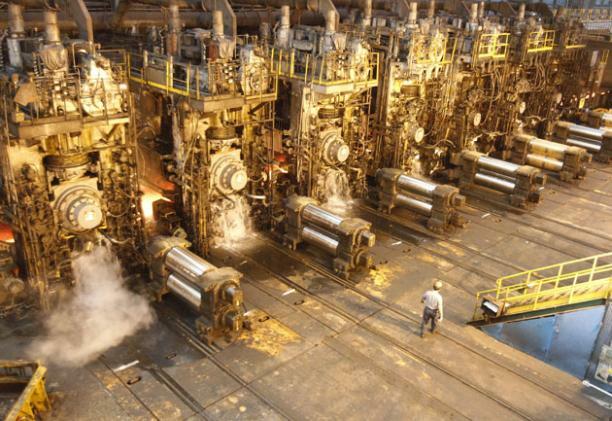 Despite boasting a water recycling rate of 97.6%, China Steel's Kaohsiung plant still requires 165,000 tons of water each day (55% of the entire city's industrial water needs). CSC has installed an industrial wastewater recycling plant that will reuse up to 13,500 additional tons of water each day. In the future, the city of Kaohsiung may need to expand its water resource options beyond recycling. Seawater desalinization is far more expensive than wastewater treatment, but offers additional security in times of water scarcity. The city government has discussed the construction of a seawater desalinization plant that could produce 50,000-200,000 tons of water per day. 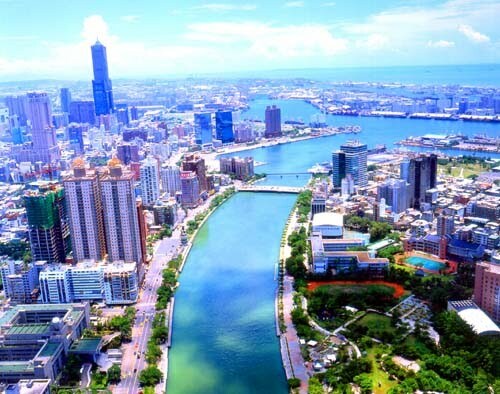 One of the most important components to Kaohsiung's rebirth was the cleanup and transformation of the Love River. Cutting through the heart of the city, the Love River became a primary runoff destination for Kaohsiung's pollution. Since 1979, the city government has been instrumental in the Love River's rejuvenation by improving sewage connectivity and treatment, reforestation, and adding bike paths and public art spaces along the riverbanks. Once entirely devoid of marine life, the river now boasts over 50 aquatic species. The Love River has even become a showcase for the city's commitment to renewable energy. The Kaohsiung City government launched 5 solar powered tour boats in September 2010 to replace diesel fuel models and will incorporate 10 more solar boats by 2012. Following the success of the Love River's restoration, the government has also taken action to clean up and revitalize the city's two other major waterways, the Cianjhen River and Houjin Creek. A major priority of recent Kaohsiung government administrations has been the expansion of green space. At Kaohsiung's industrialized nadir, green space accounted for only 5% of the city's area (nearly 3x less than Taipei on a per capita basis). Kaohsiung now provides its citizens with over 750 hectares of parks and fields, double Taipei's per capita rate. Unique amongst Kaohsiung's green space is its "wetland ecological corridor." Kaohsiung contains eight wetlands that form a semi-connected pathway running from north to south through the city. Kaohsiung Mayor Chen Chu signed a declaration to preserve the cities wetlands in 2007. The 50 million square meters of wetland area have witnessed the return of many bird species and help absorb storm-water runoff and sequester CO2. Furthermore, the accesibility of the wetland parks bestow them with the important role of incubating environmental education and awareness for future generations. "the city instituted the "Vacant Land Beautification Project," which in effect stated, "The city government will impose heavy fines on owners of vacant land that falls into disrepair," Chen says. To encourage the greening of Kaohsiung, the city offered reductions or exemptions on property taxes as well as an increase on permitted plot ratios to landowners that agreed to beautify their vacant land. In three years the city succeeded in the greening of 230 hectares of previously disused land, greatly increasing the area of green space and parkland in the city." The success of the government in this approach is testament to the fact that proper incentives can be just as effective as centralized planning in urban beautification and redevelopment. To reduce demand-side pressure on CO2 emissions, the Kaohsiung government has encouraged citizens to adopt a vegetarian diet 1 day each week. Meat consumption has been identified as a significant cause of CO2 emissions; 1 kg of beef production is estimated to be equivalent to a 160 mile drive in a car. Many schools and universities in Kaohsiung have complied by offering exclusively vegetarian cafeteria choices one day a week, while 33 schools have opted for 2 days each week. Kaohsiung has made strenuous efforts to abide by the UN's +2 degrees C goal but also accepts that some degree of climate change is inevitable. To combat climate change's impact on the city, the Kaohsiung government city has established a climate change adaptation fund. The Kaohsiung government is pursuing a strategy of designated "eco-model" zones to serve as pilot projects for low-carbon retrofitting. During his presentation at the Clean Energy Forum, Dr. Mu-sheng Lee (the Director General of the Kaohsiung Environmental Protection Bureau) noted Kaohsiung's planning draws inspiration from the cradle to cradle (C2C) design concept and utilizes case studies of Stockholm's Hammarby model, New York City's PlaNYC, and Kitakyushu, Japan's ecotown. The designated zones will be evaluated on their efficacy across several sectors including electricity management, recycling, and zero carbon transportation. The eco-model zones encompass both industrial and residential areas and their successful measures are expected be scaled up to the entire city. Kaohsiung has been a willing participant in the international dialogue on sustainable cities. Kaohsiung became the first Taiwanese member of the International Council for Local Environmental Initiatives (ICLEI) in 2005 (Taipei and Taichung have since joined). Comprised of over 1200 local government members focused on sustainable development and environmental protection, ICLEI provides an international framework for urban innovation and cooperation. Kaohsiung recently participated in ICLEI's 2010 Resilient Cities Congress in Bonn, Germany and has lobbied for the creation of a permanent ICLEI office in Kaohsiung. Despite the admirable progress of Kaohsiung, its goal of becoming an eco-city is far from realized. Kaohsiung City is still Taiwan's heaviest carbon polluter by a wide margin: the city is responsible for roughly 1/3 of Taiwan's total emissions. In order to significantly reduce CO2 emissions, Kaohsiung will have to undergo a painful diversification of its economy away from its traditional heavy industrial base. Such a shift may already be underway as a byproduct of the global financial crisis. Kaohsiung's export-oriented economy took a dramatic hit in 2009 and some loss of its industrial prowess may not return to pre-crisis levels. Increased competition from Chinese ports and local emphasis on environmental quality will naturally erode support for heavy industry. Kaohsiung Mayor Chen has identified clean technology and tourism as sectors to replace lost industrial revenue for the city, but there will be growing pains. Another major challenge will be the success of the municipality's public transportation system. The Kaohsiung MRT is years away from profitability, and will lean heavily on government subsidies for the foreseeable future. The KMRT is not the only transportation initiative experiencing financial difficulties: the C-Bike program lost NT $500,000 a month in 2009. Statistics showed that bike rental rates were 7x higher on weekends, indicating that the C-Bike rentals have been utilized for leisure rather than a viable transportation alternative for commuters. While still in the first phase of adding options for residents, the government will have to more aggressively disincentize the use of private transporation, especially scooters, a move that is unlikely to be popular. "the new municipality will encompass an area running from sea level to 3,000 meters up in the mountains, inhabited by ethnic Han Chinese, Hakkas and several indigenous groups – a diverse and complex jurisdiction running the gamut from bustling urban downtown Kaohsiung to aboriginal villages such as Namasia (formerly Sanmin Township). The bureaucratic organization of Kaohsiung City is far bigger than that of Kaohsiung County, and its developmental model has been urbanization. Now it has suddenly acquired a vast agricultural hinterland, so the handling of the extreme disparities between the two following the merger of city and county can be expected to be fraught with difficulties." The new Greater Kaohsiung government will be challenged to expand MRT and shuttle bus service into the former county, ensure equal environmental safeguards, and expand its eco-city vision to encompass a much larger area. "高雄轉型最重要的意義是高雄市民心態的大幅轉變. 以前沒有人願意承認自己來自高雄. 現在“高雄”這兩個字有了新嶄的意義. 我們都認為這才是這個城市最驚人的轉變, 是大聲說出我們是高雄人." "The most crucial significance of Kaohsiung's transformation is that Kaohsiung's citizens have changed their minds greatly. In the past, nobody was willing to say that they were from Kaohsiung. Now the word Kaohsiung has new meaning, we all think that is the most amazing change of the city, that is to proclaim we are Kaohsiung people." The transformation of Kaohsiung into a healthier, wealthier, and more environmentally stable metropolis is certainly something for its past and present residents to be proud of. Additionally, Kaohsiung's reinvention and the mayor's emphasis on clean technology will be a vehicle to attract Taiwan's future innovators and creators. Kaohsiung's series of initiatives are sure to encounter difficulties but the city leadership has laid out a bold vision of the future: Kaohsiung will be an international paragon of eco-city development. After a holiday break, Taiwan Sustainable Cities is back with a news round-up to start the new year. On the heels of Taiwan's new municipalities commencing operation, the government announced the planned creation of the Ministry of Environment and Resources. The new ministry goes against a trend of government consolidation, as Taiwan's cabinet-level agencies will shrink from 37 to 27 by 2012. Uniting natural resource management and environmental conservation under the umbrella of one agency, the Ministry of Environment and Resources' responsibilities (amongst others) will include climate change planning and pollution control. Accompanying Taiwan's strong industrial productivity, electricity demand and energy use is climbing. To meet its future energy needs, Taiwan's government announced a NT $25 billion (US $848 million) investment in clean energy over the next five years. The government aims to attract an additional NT $200 billion (US $6.7 billion) in private investment into the clean energy sector. Solar energy demand is increasing in southern Taiwan. Topcell Solar is planning to build a US $600 million solar plant in the Tainan Technology Industrial Park. The new solar facility will provide additional clean energy to alleviate energy demand on Topcell's existing solar energy plant in Tainan. Although renewables will comprise an increasing share of Taiwan's energy mix, three nuclear power plants still provide 20% of the island's electricity. Taiwan's Ministry of Economic Affairs announced another delay in the opening of Taiwan's controversial fourth nuclear plant. Due to safety concerns, the plant is now scheduled for a late 2012 opening. Taiwan's first zero-carbon building opened this past week at National Cheng Kung University in Tainan. The Y.S. Sun Green Building Research Center, known as the "Magic School," utilizes several innovative renewable energy, energy efficiency, and natural ventilation technologies to achieve its energy savings. Taiwan's tallest building is also going green. 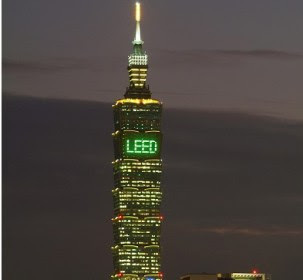 The Taipei 101 is investing US $1.8 million in its efforts to achieve a LEED Gold rating. The Taipei landmark's energy efficiency retrofits will save US $20 million per year. Whilst Taiwan's emissions trading legislation remains under discussion, the EPA is moving forward with emissions reduction initiatives in the transportation sector. Six automobile manufacturers have agreed with the EPA to voluntarily reduce CO2 emissions by 10-15% over the next five years. Amidst calls for greater government support of electric vehicles, Taiwan's EV market will benefit from electric battery exchange stations. In the next three years, City Power Co. will roll-out 3,000 battery exchange stations for electric scooters. Battery exchange will mitigate the long waiting time for electric scooters to recharge, instead allowing participants to simply swap batteries at gas stations, parking lots and other locations. Battery exchanges also relate to the government's effort to create a unified transportation card system. The government plans to invest NT $500 million to achieve a nationally integrated "e-card" system by 2013, allowing Taiwan's transport passengers to use just one card on busses, MRT, and rail. Taiwan's high-speed rail reached new record highs in ridership this past year, averaging over 100,000 riders a day in 2010 for the first time since its opening. 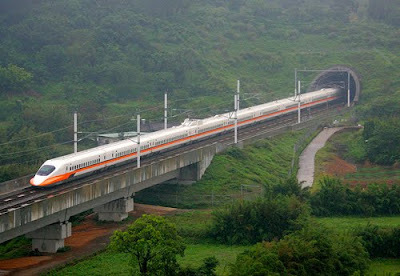 Taiwan's conventional rail also experienced its first expansion in 30 years. The new line will connect Tainan's HSR station to the downtown area, supplementing an existing shuttle bus route and reducing travel time. The EPA made international headlines with its plan for more sustainable pig farming practices. Taiwan's 6 million pigs are a drain on fresh water resources and a source of air and water pollution. The EPA has recommended improved pig waste recycling practices to generate bioenergy and compost while reducing pollution. Taiwan has also committed itself to food sustainability overseas. The Taiwanese government donated US $641 million to Central American nations in an effort to spread Taiwan's knowledge of aquaculture and replenishment of fish stocks. Taiwan Sustainable Cities has been named one of the winners in the 2010 Taiwan Best Blog Awards! Thank you to all readers and enjoy a wonderful 2011.